The 22-year-old has scored 25 goals this season despite the club's disappointing campaign and that has alerted a number of suitors, according to the Belgium international's representative Mino Raiola. "Lukaku? Of course, Juventus as a solution could go well," Raiola is reported to have told Gazzetta dello Sport. "But keep an eye on PSG and Real Madrid too for the Everton striker." 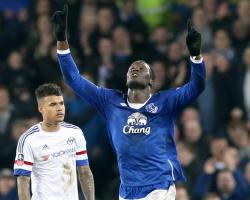 At the weekend Lukaku, while on international duty, spoke of his desire to play among Europe's elite. 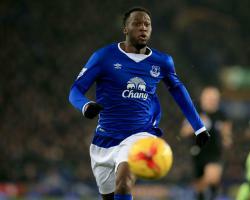 Romelu Lukaku cast doubts regarding his future at Everton by publicly stating he wants Champions League football. Despite scoring 18 league goals this season, LukakuÂ’s side have struggled to gain momentum and lie in 12th place in the Premier League; 12 points off fourth-placed Manchester City. However, United would have to qualify for the Champions League by securing a top-four finish if they are to have any hopes of landing the former Anderlecht forward. His father believes that United would be the right club for his son to take the next step. Should United manage to finish in the top four, they will be a front-runner for his signature. Where do you think Romelu Lukaku will be playing his football next season? Romelu Lukaku's stellar season has created stories about his future and the Everton man has admitted to thinking about the Champions League. The 22-year-old Belgium striker has scored 25 goals so far this season and is looking like becoming the first Toffee to score 30 in a campaign since Gary Lineker in 1986. But despite his continued brilliance, Everton remain mid-table, with an FA Cup semi-final – brought about by Lukaku's demolition of Chelsea – keeping their season alive. Reports have suggested Lukaku could move on from Goodison this summer and while he says he is not interested in a "fight" with the club about his future, he admits to thinking about where he could one day play. You think about it – if it is going to happen? Champions League football is really the next step. I won't say this or that, it is going to be good for me personally and for the club." 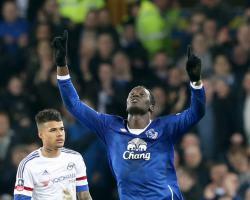 Boss Roberto Martinez invested in Lukaku when it was clear Chelsea did not see a future for him and, as such, the striker is grateful for the faith shown in him. "They were the ones who believed in me at a time when nobody believed in me and they gave me a platform to perform," he added. I just want to play my football. But we have 10 more games to go and we are not at that point yet." Cheltenham Festival 2016 @ Ladbrokes! Up to £50 Free Bet – Bet Now! The combative midfielder was sent off for the second time this season late on in Saturday's FA Cup quarter-final victory over Chelsea. Because it was the 35-year-old's second red of the campaign he must serve a two-match ban, ruling him out of the high-profile Premier League clashes with Arsenal and Manchester United. We'll never go down that route. "But, clearly, Gareth Barry has been an incredible influence in the last three seasons, none more so than in this campaign, where he has been involved in every Premier League game. "He is going to be missed but the challenge we face is can we perform in a really positive way, even when Gareth is not on the pitch? We have to rise to that." Everton will hope to overcome Barry's absence and take their cup form into the league, where they have stuttered, particularly at home, winning just four matches all season at Goodison Park. Roberto Martinez admits Everton will miss Gareth Barry during his suspension but is optimistic. Martinez told evertontv: "We are quite strong in every department – that's what's pleasing. We never look to have excuses for having players not available. We'll never go down that route. Toffees fans are on a high after booking a first trip to Wembley in four years, where they will face Manchester United or West Ham in the FA Cup semi-final after beating Chelsea at the weekend. Reports also began emerge claiming the players were losing faith in Martinez's open approach to football and wanted to be more pragmatic at times. 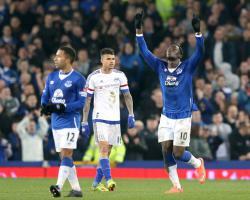 There were obviously no such criticisms following the win over Chelsea, in which striker Romelu Lukaku, Aaron Lennon and Jagielka all starred and after which chairman Bill Kenwright spoke out publicly in support of his manager. 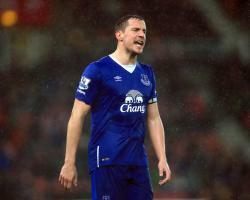 But Jagielka knows it will only take another poor display – with Arsenal the visitors this weekend – for the tide to turn against Martinez again. "In that position you are judged on how you affect the game and unfortunately, with the way criticisms went and what happened last week, conceding three goals in the last 12 minutes, obviously people were quick to forget we were down to 10 men for the majority of the game," said the Everton captain. "Obviously the manager has to take some responsibility because that's his role but to the same extent, we're the people out on the pitch and we have to perform. "You can't throw all the blame the manager's way, there has to be a pretty even split between him and the players. "I understand that people will do that, because that's the way football is." Everton's inconsistencies, having won just four Premier League matches at home this season and just eight in the last 12 months, have undoubtedly affected the atmosphere at Goodison. However, there was no issue on Saturday with the old ground rocking in the closing stages. There could have been no better introduction for new majority shareholder Farhad Moshiri, attending his first match since acquiring a 49.9 percent stake in the club. "He picked the perfect game to come to!" added Jagielka. "That's what we're always about, it's what I've always said, but it's difficult to make that sort of incredible atmosphere we had when the performances have been so inconsistent and the results haven't been what we expect. "We certainly haven't been sat in the dressing room blaming anyone, that's for certain. "We know we need to perform for the fans to make it a fortress, and we know that's not been the case for the majority of the season. We played well, kept it going and showed we have something." 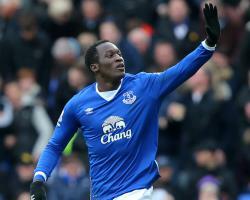 Romelu Lukaku is looking forward to a Wembley appearance in the FA Cup semi-final with Everton. The Belgium international scored both goals, the first a brilliant, dribbling effort past four opponents, late on in the 2-0 victory over Chelsea which had the old stadium bouncing. Lukaku has played just 18 minutes at the national stadium as a substitute for Belgium in a 1-0 defeat in 2012 but going there with his club will mean much more to him as Everton chase their first trophy since 1995. "It was the best night I have had in the stadium since I arrived at the club," he told evertontv. "I am happy to go to Wembley. I am happy for the team, for the club, as it is something we all wanted. "We have come close before so we are now 180 minutes away from glory. "There is a lot of belief. We know we are a good team and if we have a good day it is tough to beat us. "It is up to us to be concentrated and do the job. "It (Wembley) is different for Belgium. It was a nice experience but now playing with my team-mates at Wembley, the biggest venue for football, is going to be good." I am happy for the team, for the club, as it is something we all wanted. We know we are a good team and if we have a good day it is tough to beat us. It was a nice experience but now playing with my team-mates at Wembley, the biggest venue for football, is going to be good." Lukaku became the first Everton player since Gary Lineker 30 years ago to score 25 in a season after his magnificent double lit up a match which had failed to spark into life for 78 minutes. Collecting a pass on the left wing he set off on a run which left Cesar Azpilicueta, Jon Obi Mikel, Branislav Ivanovic and Gary Cahill mesmerised before firing past international team-mate Thibaut Courtois. His second five minutes later was less spectacular but just as clinical as he beat Courtois from the other side of the penalty area with his right-foot this time. That goal finished off Chelsea but there was still time for Diego Costa to be sent off for a second yellow card after clashing with Gareth Barry and appearing to attempt to bite his opponent before the Everton midfielder also saw red for a foul on Cesc Fabregas which will see him miss league matches against Arsenal and Manchester United. "Romelu's goal is going to be one of the best goals scored in the FA Cup and well worth it to take us to Wembley, a great memory for every Evertonian," said manager Roberto Martinez, who met new majority shareholder Farhad Moshiri as he attended his first match in an official capacity. "A newly-born Evertonian," was how the manager described the Iranian billionaire. "He brings an incredible financial muscle and wants to get us back to where we were in the 1980s and win trophies. Going to Wembley is part of every Evertonian." For Chelsea's interim boss Guus Hiddink, who suffered his first domestic defeat since taking over from the sacked Jose Mourinho in mid-December to follow a Champions League exit in midweek, there is now little to look forward to. "They (the players) like to win, most of them are used to winning," he said. "Until December it was very bad and my first task was to get out of the relegation zone as soon as possible, which we surprisingly did in a few weeks from 16th to 10th. "But it is difficult to achieve the Champions League places and maintain two roads to achieve success. That is a pity but I think a club like Chelsea you must play with responsibility. "We have to go on with pride for the club." The Belgium international beat the combined defensive might of Cesar Azpilicueta, Jon Obi Mikel, Branislav Ivanovic and Gary Cahill to score a brilliant individual opening goal. He then finished off the visitors with a clinical right-footed strike to give his side their first visit to Wembley since the 2012 semi-final, which they lost to near-neighbours Liverpool. Lukaku was deemed surplus to requirements at Stamford Bridge by Jose Mourinho but since moving to Everton in a Â£28million deal he has scored 63 goals in 118 appearances and has 25 this season alone – the first player to achieve that feat for Everton since Gary Lineker in 1985-86. Majority shareholder Farhad Moshiri, attending his first match since acquiring an Â£85million 49.9 percent stake in the club, has pledged to provide the cash to keep their star players and he would be well advised to make the big striker an offer he cannot refuse as soon as possible. Almost single-handedly Lukaku inflicted Guus Hiddink's first domestic victory since taking over in mid-December and to compound matters for the Dutch caretaker boss, striker Diego Costa was sent off late on after a clash with Gareth Barry which may invite further scrutiny. The Spain international pushed his face into Barry's neck, seemingly intent on biting him, but appeared to withdraw at the last moment. While there had been no indication in the preceding 77 minutes of the brilliance which Lukaku produced, the late flurry of yellow and red cards was entirely predictable. There were more fouls than shots in a scrappy, over-physical first half which surprisingly saw only two bookings. 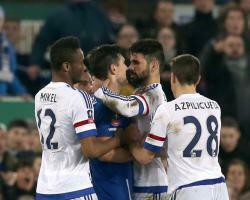 It was absolutely no surprise Costa was one, cautioned for jumping into Barry in retribution for the midfielder's foul on him earlier which the Chelsea striker felt should have warranted a yellow card. Pedro's heavy touch took the ball out of play after he skipped past Robles but it was not until the 44th minute there was a save of any note as Joel Robles tipped over Willian's free-kick. Costa came closest to breaking the deadlock just before the hour but having skipped past Ramiro Funes Mori and Robles, his shot from the acutest of angles rolled along the goal line and past the far post. Chelsea goalkeeper Thibaut Courtois denied compatriot Lukaku after Cleverley's incisive through-ball but was powerless to deny him when he stepped up a gear 12 minutes from time. Having weaved his way past four players, he confidently stroked home. His second, from the other side of the penalty area, was less spectacular but equally clinical. Chelsea knew the game was up but Costa's decision to clash with Barry was patently ridiculous, considering what had gone before. His red card was swiftly followed by another after Barry's foul on Cesc Fabregas, but it could not dampen Everton's celebrations as Chelsea's last hope of silverware went the same way as Costa.